What is Social Media Management? Why Do I Need It? The vast number of Social Media Platforms that are available on the internet make it easier for people to listen, engage and collaborate with each other. With more relevant social media venues available than ever, it quickly becomes a full time job to monitor, manage and track each one. Social media management solutions can help you manage your daily online interactions with your customers or potential prospects. You can do this 100% more effectively by outsourcing your social media management to professionals, which will allow you to put the proper focus to the areas of your business that need it most. Your social media management solution will provide a consistent style of communication with your customers that is upheld to a high standard on a daily basis by the professional that runs your accounts. Examples of social media services you can have managed are; Social Networks like Facebook, Twitter, LinkedIn and Google Plus. It is also common to have your Blog and YouTube account managed. With all of these factors playing important complementary roles to the overall reach of your social media marketing campaign. You can work with your professionals to supply them with an specific copy or media that you’d ever want to use. You can also make your overall marketing strategy more cohesive than ever. This would be done by working closely with your social media manager to figure out how you can integrate your other online and offline marketing efforts. 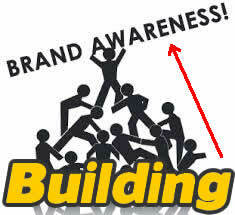 Whether that be promotions you run on your website, search engine marketing and / or email marketing campaigns. To best know your customer and serve their needs better than your competitor’s do, is exactly what good Social Media Management gives you the chance to do. It becomes easy to monitor what people are saying about your business without having to implement the entire social media strategy yourself. You can then have more time to plan out these higher level plans that will really make a difference for your business. We’d like to show you how you can have your Social Media Management taken care of on a monthly basis, and on a scale of implementation and price that works for the size of your business. Social Media Management: Why Should You Care? As a business entity, it’s important to join online conversations about your brand, competitors, your industry in general and the areas that your business specializes in. Doing this can maximise your exposure to people who are interested in the products you sell or the services you provide. With social media management you have the chance to observe all the action on your accounts and just observe what people are saying about your business, your competitors and major industry trends as they break. By representing your company with the right kind of positive and brand building posts on a daily basis, your business will build credibility in your industry. This will allow you to link to customers and potential prospects who are on the verge of buying, with ease and effectiveness. Social media can be strategically used to funnel people to your other marketing efforts, where it becomes easier to track and engage with individual customers and prospects. When handled correctly and implemented consistently, a good social media management plan will help you better understand your customer’s needs, increase your overall online visibility and generate fresh leads from places you never thought possible. To actually maintain this all yourself can take pretty much all of your time and energy if you give it the focus it deserves… Do you really have the time to become a PRO at Social Media Management? Review tweets made by Twitter followers for conversations to join and provide value on as an industry authority. Checking your RSS reader subscriptions for relevant articles and new ideas to share with your target audience. Checking ‘Google Alerts’ to see when and where your organization is mentioned on the internet. Creating and monitoring a vibrant community that discusses industry related topics on networking sites like Facebook and LinkedIn. Now take a step back and seriously think about how your social networking responsibilities are going to suddenly (and constantly) expand. 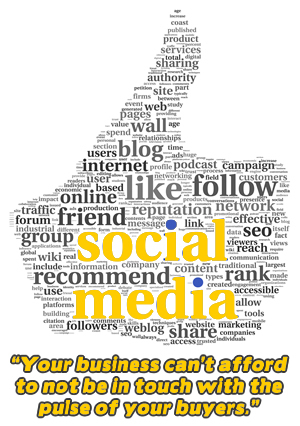 This is a given fact for any business that gets involved in the right social media marketing efforts. The internet and social media is what successful businesses are leveraging for growth in this ‘New Economy’. With the right social media management game plan it’s easy to continuously grow the awareness of your brand and ultimately expand your business. And one thing to keep in mind, is that while you are building goodwill, relationships and awareness for your brand… it can be a challenge to truly measure short-term impact (return on investment) with your social media efforts. The reason for this is that one interaction can create a new customer within any given amount of time. After the first exposure to your business from a social media interaction, a person can decide to become a new customer on the spot or they may weight any given amount of time to finally make up their mind. Some people will take a few more positive exposures or repeat interactions before conversion from prospect to customer. This is the immeasurable aspect… the direct and measured impact of single well written / timed social media post can have very far reaching results in terms of business growth. Social media management tools give you a way to get your arms around the many-headed social media Hydra by streamlining and integrating customer interactions across multiple marketing venues. There are dozens, if not hundreds of web agencies that claim to offer true social media management… But the truth is that only 18% of the firms that advertise the service, can actually deliver the service at a high level. Not all social media management is equal! This is where we come into play. 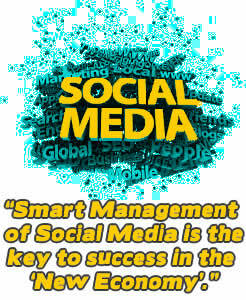 We are here to connect you with the industry’s best social media management professionals. We aren’t here to get top dollar from you either. We would like you to be able to get the social media marketing that YOUR business NEEDS, and have those needs filled within your budget. Working with our Social Media Management professionals will help you to evaluate the overall big picture and discover the critical opportunities that your business will have for growth. With information comes the power to make informed and strategic decisions. 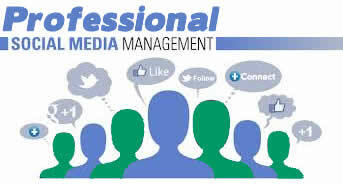 You can’t afford to neglect professional level Social Media Management. Especially when you can get it at the incredible monthly rate plans that we deliver it for. We have 3 tiered Social Media Management Plans, and one will surely suit the size and needs of your business. We have the social media marketing industry cornered with the best pricing in the United States or Canada. Our prices simply can’t be beat, and they remove the need to hire additional staff for your business. If you have any questions regarding any of the services we offer, feel free to contact me anytime! P.S. Not sure where to start and would just like to speak with someone? Contact Caleb Wright to discuss your needs TODAY!